The automotive interior materials value chain is currently undergoing a major restructuring. Composites and other alloys in the automotive sector have in the past enjoyed significant triumph in Formula 1 motorsport and in the supercars segment. This has created a fragmented support industry, consisting of several and diverse small high-tech players with specialized knowledge. In recent years, advanced composites and alloy usage is tumbling from these high-end luxury segments down to higher volume vehicles, which is the major growth factor for the automotive interior materials market. Moreover, material and interior component manufacturers are using advanced manufacturing technologies in order to provide cost efficient products to their customers. For instance, major component manufactures are using robot technology which comprises robot-aided automation systems and laser cutting equipment for plastics and metal working industry, providing cheaper and precise products for automotive industry. Goldstein Research analyst forecast the market for global automotive interior materials market is forecast to reach USD 112.4 billion by 2017, up from USD 74.3 billion in 2016, and anticipated to represent a compound annual growth rate (CAGR) of about 5.3% during the forecast period. This signifies a sizable growth opportunity for the global chemical and composites industry. Based on vehicle type, passenger cars accounted for the largest market share of more than 68% in 2016. Moreover, passenger cars are expected to be the fastest growing and most opportunistic segment over the forecast period owing to emerging market of electric vehicles. Geographically, Asia Pacific region is anticipated to witness a CAGR of more than 6.2% from 2016 to 2024. 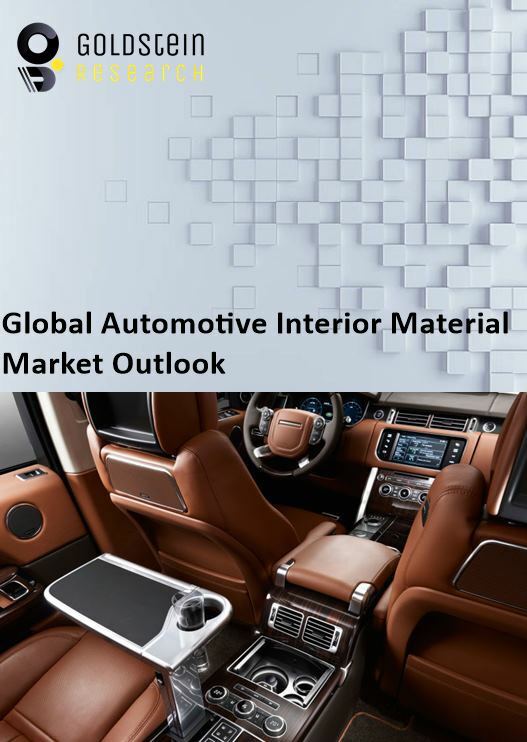 Increased government incentives and suitable regulations is expected to attract automotive OEMs and component manufactures, which will further propel the growth of automotive interior materials market growth. Growth in developed regions such as North America and Europe is likely to grow at moderate pace and the growth opportunities are likely to shift towards new vehicle segments such as electric vehicles and autonomous cars. According to our global automotive interior materials market study on the basis of extensive primary and secondary research one of the major trend is that in recent years, governments across various countries have begun recognizing the opportunities in automotive composites industry. Huge investments have been made to set up research facilities, often in association with universities and industry partners. For instance, Germany is recognized as one of the leaders in automotive industry, which already operates several research facilities that involve partnerships between the plastics, composites and automotive industries, academia and government. According to the report, major driver in global automotive interior materials market is rapid growth of passenger car sales, coupled with a change in consumer lifestyle and rising importance for comfort and safety in automobiles is acknowledged as one of the primary growth factors for the automotive interior materials market growth. However, the high cost of raw materials and the lack of appropriate higher volume manufacturing methods and higher value recycling processes continue to be some of the major restrictive factors for future growth. The report covers the present ground scenario and the future growth prospects of the global automotive interior materials market for 2016-2024 along with the total revenue of automotive interior components industry in every region. We calculated the market size and revenue share on the basis of revenue generated per segment and region. The revenue forecast is given on the basis of number of market players and current growth rate of the market. Automotive Interior Materials Market Report has been prepared based on an in-depth market analysis from industry experts. The report covers the competitive landscape and current position of major players in the global automotive interior materials market. The report also includes porter’s five force model, SWOT analysis, company profiling, business strategies of market players and their business models. Global automotive interior materials market report also recognizes value chain analysis to understand the cost differentiation to provide competitive advantage to the existing and new entry players.